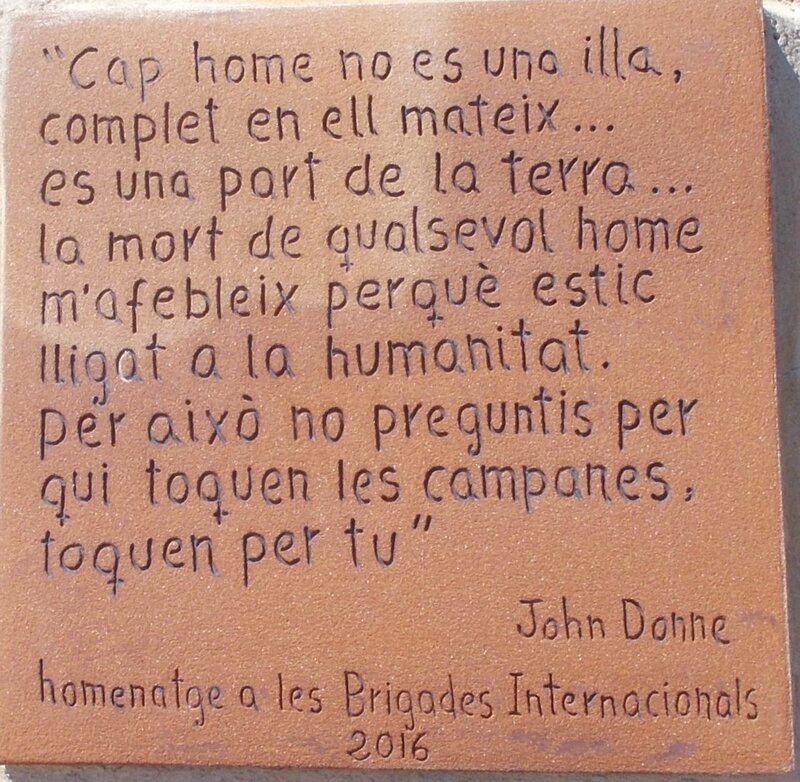 During an extended stay in Catalonia in and around several sites heavily involved in the Civil War, we found memorials few and understated (although, to my eye, Catalonian sympathies were pretty clear). In the scale of things, that ghastly business is all still fairly recent so it is not hard to understand sensitivities. There is a relatively recent programme of establishing memorials. The Girona cemetery has an imposing long metal memorial naming an unhappy number of local-born Republicans who are somewhere in unmarked graves, most being post-war executions - it's less than 10 years old. There's stuff about this to be read. 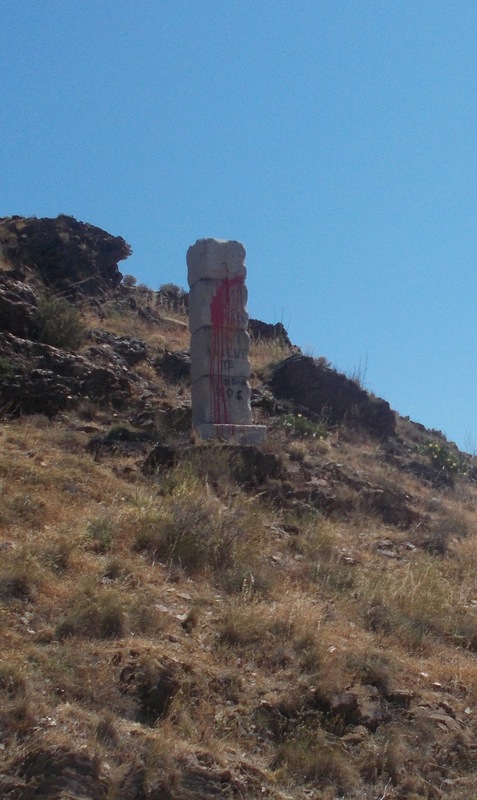 We went on an outing to the old France/Spain frontier between Portbou and Cerbère, which commands stunning views and offers various ghostly ex-border buildings. 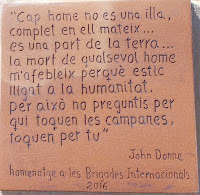 Low-key signage pointed us to some display materials on the refugee plight in 1939, a surviving Francoist memorial (these are very rare - it was pleasantly defaced with red paint), and a 2016 Catalan plaque commemorating the International Brigades. (I sang a bit of The Red Flag, but it seemed a little inadequate).